how to preview before or after event email notifications? As of right now we dont have a test email functionality. 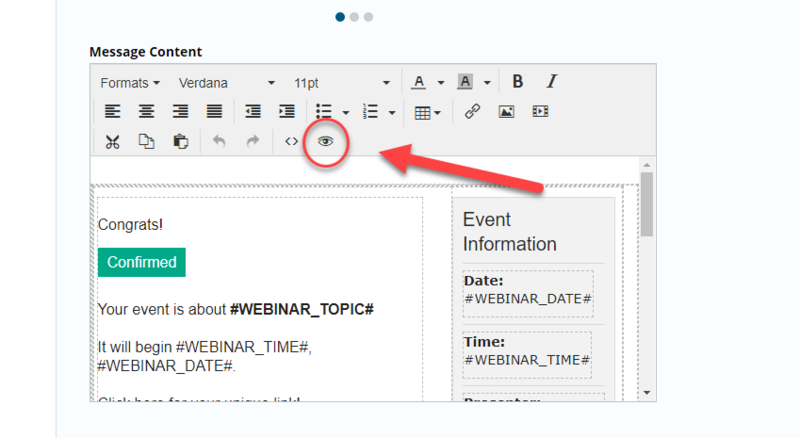 There is however an eyeball icon that will open up a lightbox to show you how it will layout within the email.. 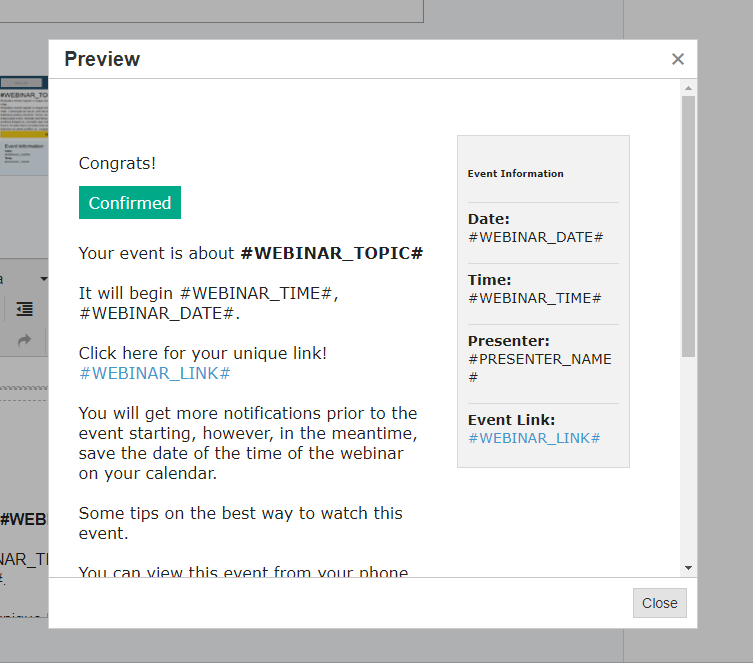 The shortcodes that are used to auto fill data require that someone does register for the webinar to be filled in.. So in short the only way to get the notification in your email box is to register for the event..